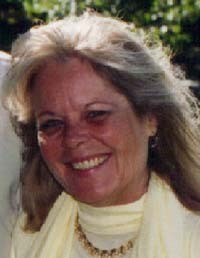 BELLEVUE—Virginia “Ginny” Sue Forbis-Chizum, 58, passed away at her home in Bellevue on Saturday, Sept. 22, 2012. She was born Oct. 13, 1953, in Coronado, Calif., the second of four children of Ernie and Janet Forbis. The family moved to Bellevue, Idaho, in 1970. Ginny graduated from Wood River High in 1971. She was married to Robert Logue in 1971 in Hailey, Idaho, and they had two children, Scott Logue and Leya Logue. Ginny later divorced and met the love of her life, Charlie Chizum, in Bellevue. They were married on the beach in Seaside, Ore., in 1976. Their son, Joseph, was born in Hailey in 1981. Ginny worked at the Wood River Journal newspaper in Hailey for over 13 years and then went to work at Paul’s Market until Paul’s closed. From there she began work at Albertsons, where she continued to work until ill health forced her to retire. Ginny enjoyed working, and thrived on the close-knit family of friends she met and shared with while at work. She was especially fond of her association with co-workers and customers at Albertsons, and felt the loss of their friendship and close connection when she was no longer able to be there. Ginny enjoyed her time gathering with loved ones and spending time laughing in warm, sunny weather near serene water and sandy beaches. She cherished the fond memories of idyllic vacations that she and Charlie spent in Sayulita, Mexico. Ginny was feisty, spirited, lively and humorous. She was beautiful, always had a fabulous smile, was intelligent, hard-working and adventurous, and had a quick wit and wry sense of humor. She loved her children and grandchildren; she loved life; and she cared deeply for her friends, co-workers and family. Ginny was courageous and determined throughout her long illness. She fought a long, hard fight, and never gave up all the way to the end. Ginny is survived by her husband, Charles J. Chizum, of Jerome; her children, son Scott (Marci) Logue of Bremerton, Wash.; daughter Leya Logue (Doug Dugger) of Hailey; and son Joseph (Carrie) Chizum of Hagerman; her father, Ernie (Louise) Forbis of Guffy, Idaho; her sister, Earnet (Phil) Dixon of Shoshone; her brother Mike (Judy) Forbis of Meridian; brother Dewain Forbis of Pennsylvania; and by numerous aunts, uncles, nieces, nephews, and cousins. Ginny was especially proud of and fond of her seven grandchildren: Tazmin and Raylin Lyons of Hailey, Lacey Magill of Colorado, Rachelle and Whitney Logue of Washington, and Addison and Ava Chizum of Hagerman. She was preceded in death by her mother, Janet Forbis. Cremation has taken place, and a service for Ginny will be held on her birthday, Oct. 13, at 2 p.m. at the Hailey LDS Church. “I could tell where the lamplighter was by the trail he left behind him.”—Harry Lauder. Cremation was under the care of Wood River Chapel. Friends and family may go to www.woodriverchapel.com to leave a condolence and share photos and memories.